This is the second part of a four-part series in which I reflect on my journey toward becoming one of Wesley’s people—a pastor in the United Methodist Church. You can read part one, I’m not Crazy, right here. When my mom asked me what I wanted for Christmas, I sent her an Amazon wish list with three items on it: Calvin’s Institutes, Fred Sander’s theological biography on John Wesley, John Wesley: The Heart Renewed in Love, and a collection of John Wesley’s writings. While at Wheaton, I learned to love reading books by dead people. Throughout my program, I had at least one historical mentor, and it’s a practice I’ve chosen to continue. For 2014, and most likely beyond that, I’ve chosen to read Wesley and Calvin together, in conversation with each other. As I’ve sat ringside with these men, watching them duke it out with their opponents, I’ve come to appreciate each more and more—and to have burning questions for each, too. Here are the three things I’ve learned while reading Wesley and Calvin. 2: Wesley is far more charitable than Calvin. Wesley never wrote a systematic theology—which is why some say, and rightly, there is not a theological backbone in the Methodist tradition. Wesley was a practical man, so the textbook for his movement were his Standard Sermons. Practical theology for a very practical people. In that, Wesley is a very charitable man. That’s not to say that he’s without fiery retorts for those who differ from him. (OK, so he called Calvinism a heresy once…) But for the most part, Wesley’s fire was for people who distorted the Gospel—mostly preachers who taught a dull morality in churches instead of a robust, Gospel-centered way of living. He was rather charitable toward men and women of other traditions, and you have to remember, wasn’t setting out to start a new denomination as much as he was trying to renew the Church at that time. 3: There is something to be said for organization, clarity, and yes, systematic theology. Calvin’s contribution in the Institutes is an ordered, systematized theological way of thinking for Christians. Wesley’s lack thereof makes some of his thinking hard to understand; even the most intelligent Wesley scholars struggle to see what he means by ‘Christian perfection.’ (See Sander’s book for an excellent chapter on that!) It’s also hard to grasp what he was trying to go for when he teaches on works of righteousness. So there you have it. If you haven’t, I’d again challenge you to read something by Wesley. A suggestion: try Wesley’s sermon, The Lord Our Righteousness, which is number 20 in the Standard Sermons. Don’t cast a stone without giving him a chance, and this is a sermon that, I think, far outweighs most of the historical sermons I’ve read in the Reformed tradition. 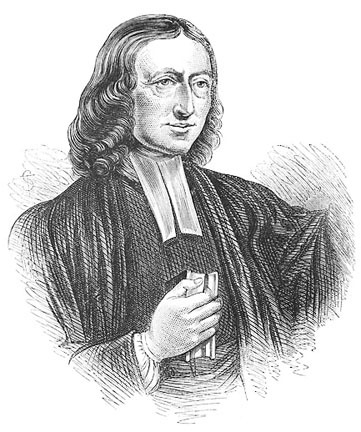 What do you know about John Wesley? Have you ever read anything by him? What has stopped you from reading him? Just to defend Calvin a bit (I am not calvinist, but I do enjoy reading him). You probably know most of this but he did live in a time when the church was persecuted. He was forced from his country as an exile and had to write while in hiding using a pseudonym to avoid being arrested and probably killed. He spoke with such fiery words because the opposition was firing at the reformers with death threats and executions. Secondly, the Institutes was not a systematic theology. It was written as an appeal to King Francis I to stop killing Christians and to try to understand and take a look at the legitimacy of the reformers theology and aims. It had a secondary intent of being Calvin’s version of a modern day “Mere Christianity.” His view on the basic beliefs of this new movement in the Roman Catholic Church. It was never meant to be a systematized collection of his beliefs but rather an extended letter/appeal. Secondly, Calvin was also primarily a preacher. His Sermons/ commentaries on Scripture make up the vast majority of his work. Other than commentaries/sermons he mostly wrote letters to friends who were trying to reform churches and treatises on certain issues that came up in the reformation. Just gotta defend my boy Johnny C! The historical perspective on when and why Calvin was writing is extremely helpful, and I’m somewhat familiar with it. It does help me see his somewhat combative tone in a more contextual light. I wonder: how does Calvin’s age at the time of his writing inform his tone? He was young when he wrote the ‘Institutes.’ Would he have written it more gently at a later age, or would his fire have increased?